Introducing the latest and greatest spring sniper rifle to hit the market, the Well G-Spec Bolt Action Airsoft Sniper Rifle! Not only does it shoot at an incredible 420 Feet Per Second but it looks amazing too with it's full metal construction and polymer body. The best thing about this gun is it comes ready to go right out of the box with all the best parts and accessories including a mock silencer. It is equipped with metal cylinder assembly and metal trigger assembly for durability and reliability. 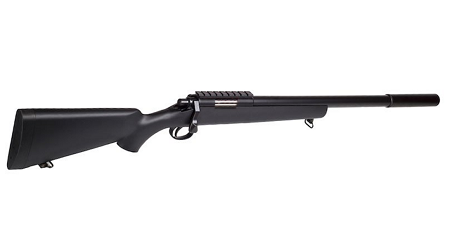 This gun also has a solid stock that gives you the stability and control to hit targets from a long distance away. The Well G-Spec is fully upgradeable, heavy weight, and accurate. This awesome Airsoft Gun gets even better with the capability of modifying the internals of this gun right out of the box for a big velocity boost. All you need to do is follow the instructions and remove the air suppression unit, once removed and reassembled you will instantly get a huge boost in fire power! Straight from the manufacturer it comes complete with the gun, a mock silencer, a 30 round magazine, a gun strap, 200 practice BBs and all of the hardware you need. 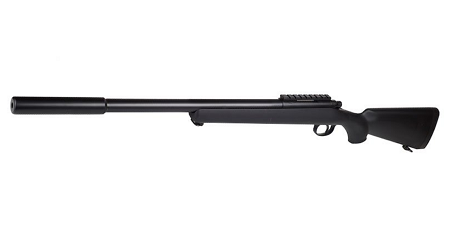 If you are looking for a bolt action sniper that performs as well as it looks then the Well G-Spec Bolt Action Airsoft Sniper Rifle is the perfect firearm for you.